Whether you bought a retail dress or would like to wear your mom's bridal gown for your own wedding, I can adjust the fit and even re-design aspects of the gown so that it is truly yours. Having owned a bridal salon at one point in my life, I know just the alterations that will make you look outstanding on that special day. Having owned a bridal store myself as well as working with bridal creation and alterations for more than 30 years, I’m not afraid of any materials. My motto is “if it has been sewn together, it can be taken apart”. 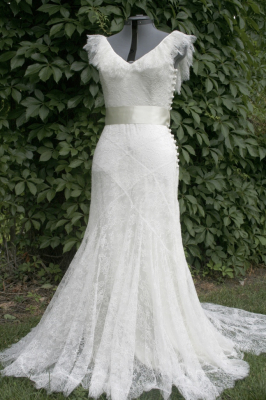 So whether your dress is silk, lace or any combination, I would be honored to help you with your alterations. 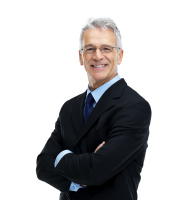 Your personal appearance is #1 in that all important first impression. Of course it is crucial you dress your best. An expensive suit, fitting poorly, can look cheap. Likewise, a less expensive article of clothing can appear to be a custom design if it fits accurately, accentuating your assets and camouflaging your figure variations. Clothes need expert tweaking to fit you properly. There are many other operations that can cause your clothes to fit you better and help the garment last longer. Let me show you how I can improve your appearance. 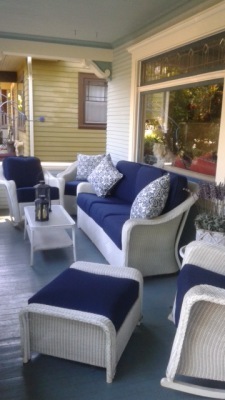 Maybe you need new pillows for your bed or cushions for your wicker porch set. Or maybe you have created a work of art but need to have binding added so it really pops as a wall hanging. From simple to complicated, I can turn your ideas into reality. Unique and special projects like these are why I love to sew. They get my creative juices flowing making sewing not only my job but my passion.